MACOM Announces New Dual and Quad Channel 64GBaud TIA Solutions for 600G Applications | MACOM Technology Solutions Holdings, Inc.
LOWELL, Mass.--(BUSINESS WIRE)--Mar. 6, 2019-- MACOM Technology Solutions Inc. (“MACOM”) today announced the availability of new dual and quad channel 64 GBaud transimpedance amplifier (TIA) solutions for coherent applications up to 600G. The new dual-channel MATA-006806 and quad-channel MATA-006406 offer customers the low noise, low power and high bandwidth required to enable Integrated Coherent Receivers (ICRs) and Integrated Coherent Transmit-Receive Optical Sub-Assemblies (ICTROSAs) operating up to 600Gbps in Telecom and Data Center Interconnect (DCI) applications. Today’s increased demand for data capacity in metro and DCI applications are driven by new trends like the Internet of Things (IoT), virtual reality and artificial intelligence. As the market moves from 100G/200G to 400/600G coherent systems, MACOM’s 64 GBaud driver and TIA solutions are lighting the way. The new TIAs feature high transimpedance gain, high bandwidth, low input referred noise and low THD to support up to 64Gbaud symbol rates and 64 QAM modulation. The MATA-006806 has purely analog control while the MATA-006406 includes both analog and integrated SPI control for full digital operation. 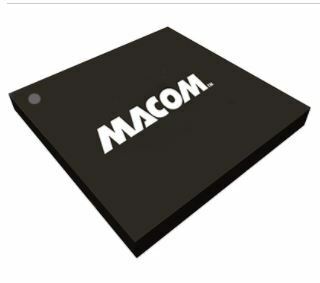 MACOM’s new TIAs can be bundled with quad-channel drivers like MACOM’s MAOM-006408 or MAOM-006412 for IC-TROSA applications. More information on MACOM’s MATA-006406 and MATA-006806 devices, along with the complete portfolio of products for optical communications and the InnovationZone featuring leading industry solutions, will be available at OFC 2019, MACOM Booth #2739, March 5th-7th in San Diego. To make an appointment, contact your local sales representative. For more information on MACOM’s optical networking solutions visit: www.macom.com/applications/optical-networking.